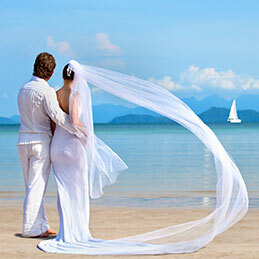 The wedding travel agents at Bliss Honeymoons are your go-to pros for romance travel! Whether you’re planning looking for a unique honeymoon destination, planning an island wedding, a vow renewal ceremony, or a romantic anniversary trip, Bliss Honeymoons can make it happen! We also offer services for couples who want to DIY it! And our honeymoon registry is a great way to say “we don’t need another toaster but would love some help with our honeymoon!” Contact us to start planning your dream get-away today! We work with the world’s most popular destination wedding resorts and are on a first-name basis with some of the best wedding coordinators around the globe. At Bliss Honeymoons, destination weddings and honeymoons aren’t just part of our business, they’re our ONLY business. Here at Bliss Honeymoons, we believe that your anniversary package should be as unique as the two of you are as a couple. Whatever your vision is for your vow renewal ceremony, Bliss Honeymoons can make it a reality. 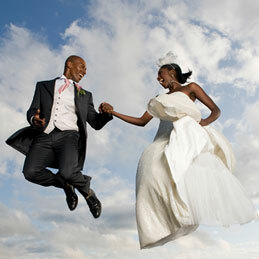 At Bliss Honeymoons we believe that everyone deserves to have an amazing honeymoon or destination wedding! So we’ve created our “Love All Ways” services for couples of every variety. Start your life together with a honeymoon experience you’ll never forget by creating your own customized honeymoon registry. Laura and Bliss Honeymoons opens doors for us that we didn't even know existed as options for our honeymoon. Laura is incredibly detailed oriented, and a great listener. With just a 1 hour initial interview, Laura provided us with travel options around the world that fit our budget.